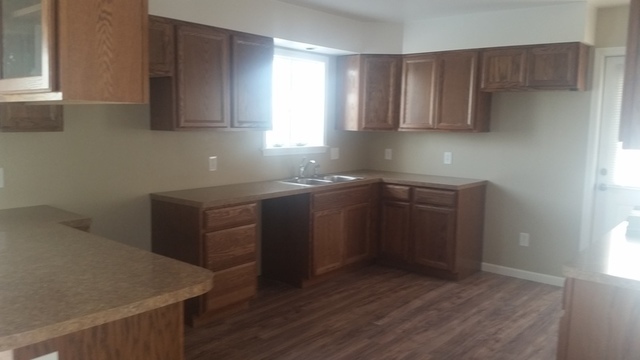 Home › Auction › Modular Home AUCTION! House Built By Erie 1 Boces Building & Trades Seniors! All Plywood – No O.S.B. Ready to go on YOUR lot! 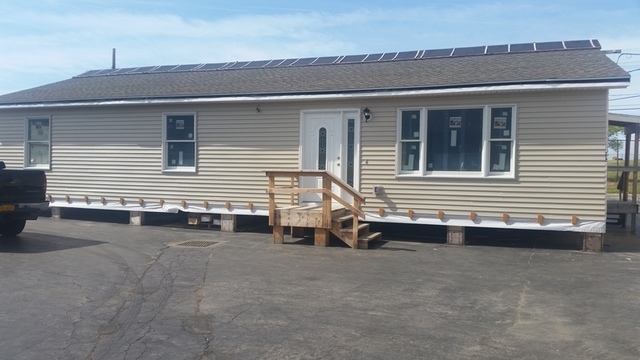 You may use whomever you like to move the modular homes, we suggest calling Kathy Rawleigh at 585-382-3194 for a transport quote. CASH REALTY AND AUCTIONS, LLC. 1. The successful bidder will be required to pay a deposit of $5,000.00 which will be applied to the purchase price. 1. A 10% Buyers premium is in effect at today’s sale. 1. This property is sold free and clear and of all liens and encumbrances and in its present as-is condition in all respects. No warranties as to physical condition, habitability, tenancies, or compliance with any environmental regulations, law, codes or ordinances, including those relating to heating, plumbing & electrical systems are made by either the sellers or auctioneers unless specifically stated herein. Cost and responsibility for curing deficiencies, if any, is the purchasers. 1. Any statements made in sales brochures or advertising relating to this property are not to be considered as part of theses terms and conditions of sale and should be verified by the purchaser before the sale. 1. The purchaser will be required to sign a written acknowledgment of his or her bid and purchase of said premises. 1. The sellers, through their agent the auctioneer, at their option, may recall the property if the successful bidder fails to comply with these terms of sale, and the person or persons failing to comply, shall forfeit any deposits made on account hereof, and may be held liable for any deficiency resulting from a subsequent resale, or in the alternative, the sellers may retain the deposit as liquidated damages. 1. 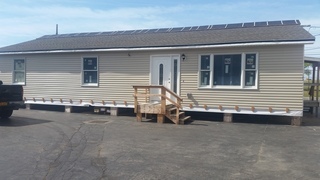 The modular home must be removed from premises by July 31, 2018. If the modular home is not removed by July 31, 2018 the purchaser will be required to pay $100.00 per day as a penalty, and if the modular home is not removed by September 1, 2018 then the purchaser will forfeit the home as well as all sums paid and ownership of the modular home will revert back to the seller. 10. If the home is to be removed by a rigger, the rigger must provide a certificate of insurance to Boces. ___________________________________________________________________________, hereby acknowledge purchase of the above described property subject to the terms and conditions set forth herein for the price of $______________________________ and have paid to CASH REALTY AND AUCTIONS, LLC., the sum of $5,000.00 by way of deposit and partial payment of the purchase price, I have received and agree to be bound by the terms of sale including exhibits, attached hereto and I agree to complete the purchase and be bound by these terms of sale. As agents for the Seller, we ratify the sale, and as auctioneers, acknowledge receipt of the deposit. ‹ 15 TRUCK LOADS OF CIL LIQUIDATORS MERCHANDISE!!! !